Seven years in Los Angeles and there are still so many things I did not know about this city. Foodblogging has certainly led me to explore much more than I otherwise would, driving all over scouring all the food has to offer. Yet when a press release came about a wine tasting at San Antonio Winery I was definitely surprised. Los Angeles has a winery? 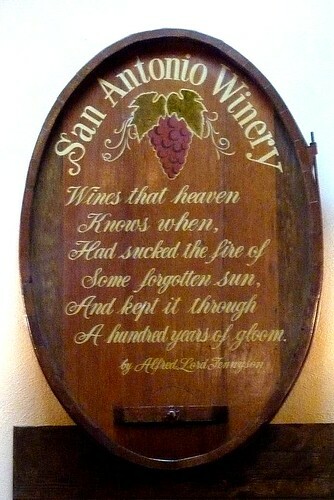 San Antonio Winery is the last remaining winery in Los Angeles, having survived the depression that shuttered many others by selling sacramental wines. That's not what we were about to have, of course. San Antonio Winery is now back in full business and is known for their dessert wines -- I had a tour of the winery but this post will come later. I was invited to cover the wine tasting from Down Under. Yep, Australia and New Zealand, paired with a full lunch featuring (naturally) Australian and New Zealand dishes, held at their lovely large tasting room. While following a powerpoint presentation of different regions of Oz and NZ and the wines we were tasting, we started devouring and drinking. For these special events, San Antonio Winery brings in an outside chef named Chef Claud to prepare the food, and I have to say he does a good job. I wasn't sure what to expect food-wise since I was at a winery in downtown LA but the shrimp was the introduction to a great meal. 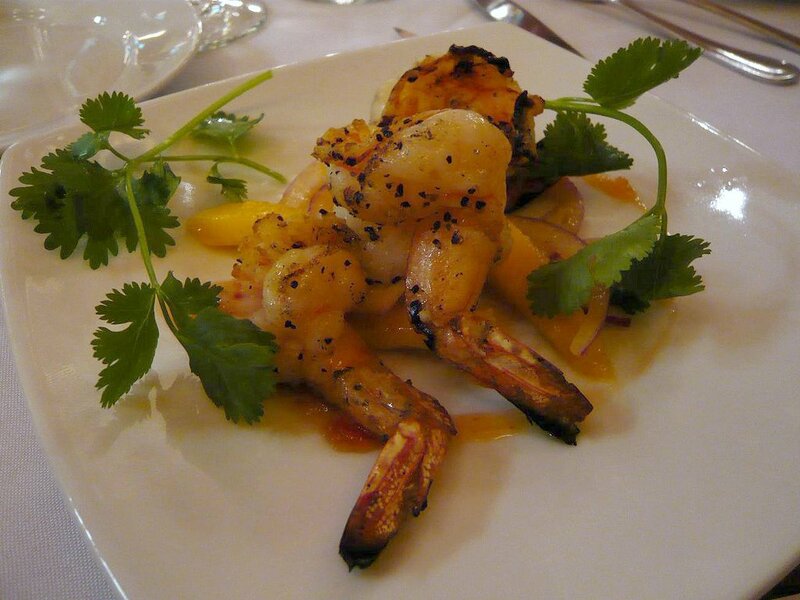 The shrimp had that nice slightly-charred-barbecue flavor that goes well with the tartness of the mango. 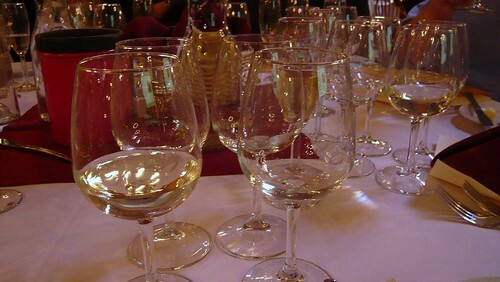 The paired wine was a New Zealand Sauvignon Blanc from Marlborough. 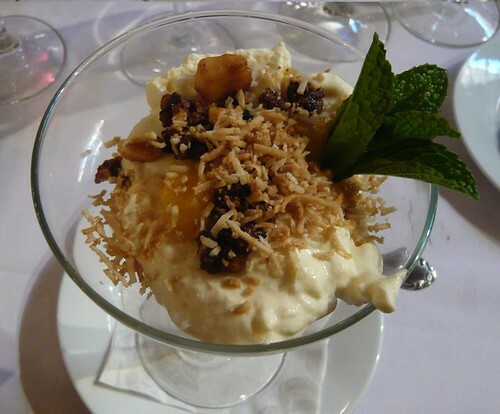 Marlborough is famous for its Sauvignon Blancs and Kono is a good inexpensive representation of this regional specialty. 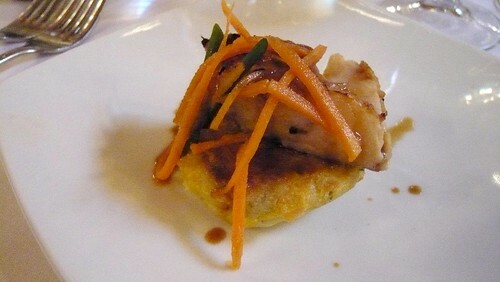 We all loved the barramundi. 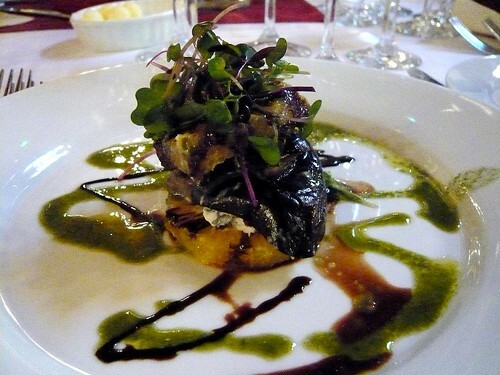 Apparently barramundi is recently aquafarmed and is considered the most sustainable fish on the planet. That's good to know since it was delicioso. Chef Claud did a great job with the fish. 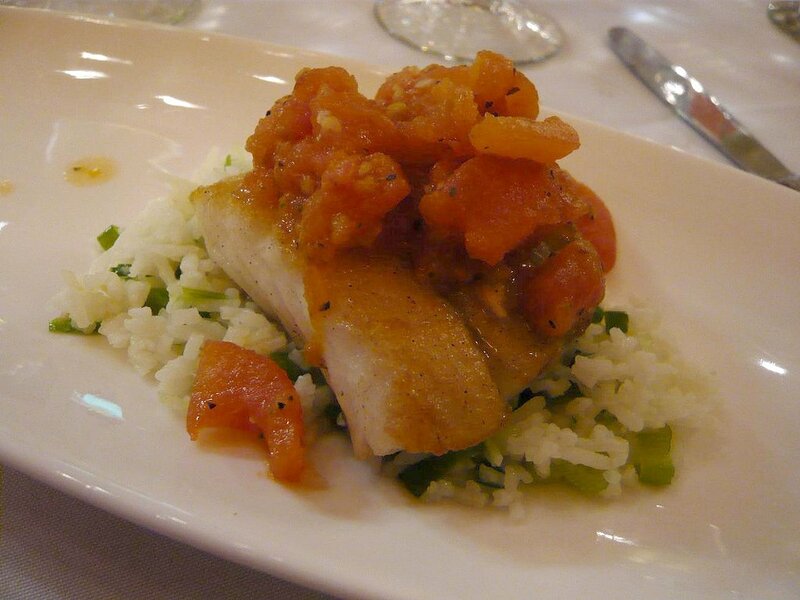 Tender and moist and full of flavor, the well-cooked fish also paired nicely with the tomatoes and the fragrant basmati. 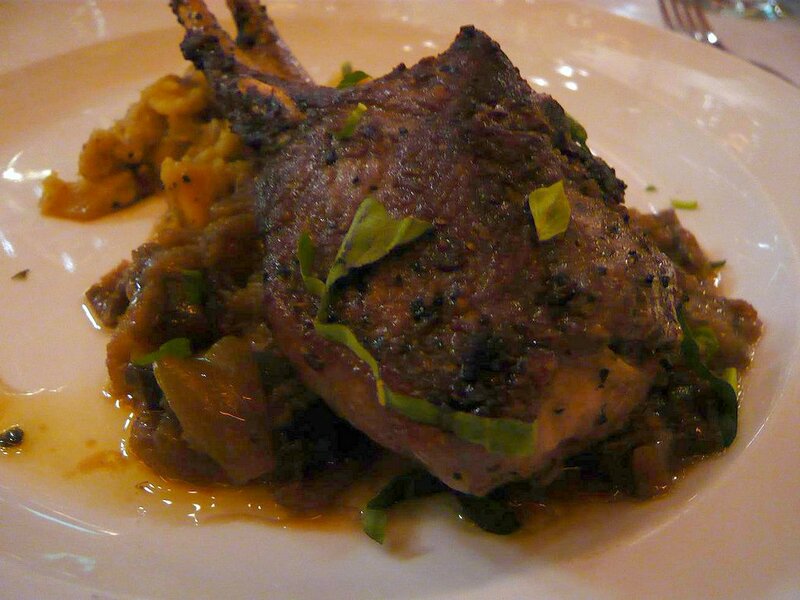 With this dish we saw the difference between tasting wine and pairing wine with food. The "Hermit Crab" Viognier was a wonderful wine that was refreshing and crisp, while by itself the Ferngrove Semillon-Sauvignon Blanc paled in comparison. With the food though, I much preferred the latter. 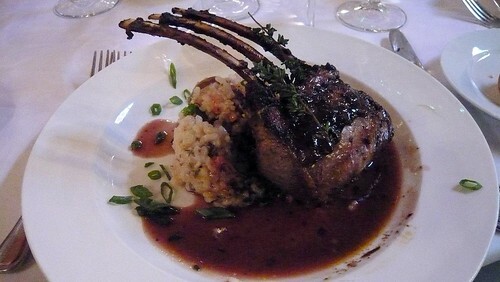 Another great dish, with a well-cooked and well-seasoned lamb chop. Medium rare all the way through, the way I like it. I didn't think grabbing the bones with my fingers was appropriate for the occasion but I managed to clean it up with my fork and knife. 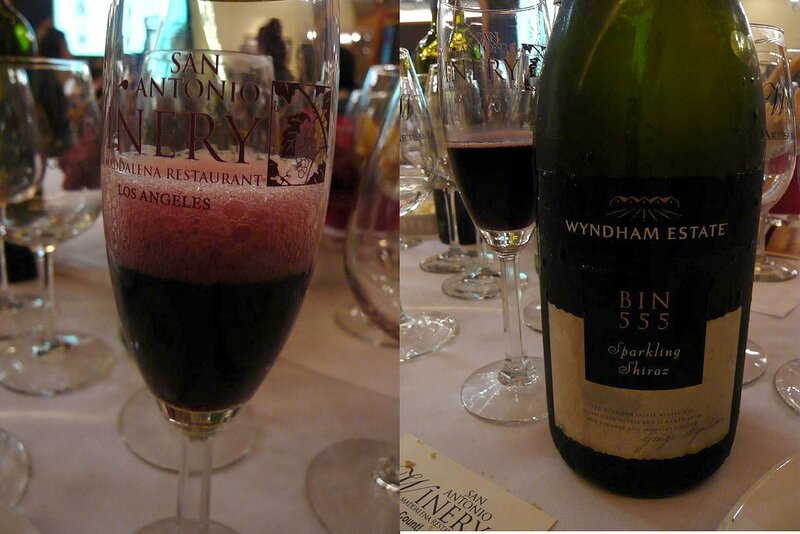 The second wine was pretty earthy, I didn't like drinking it on its own but it paired well with the lamb. 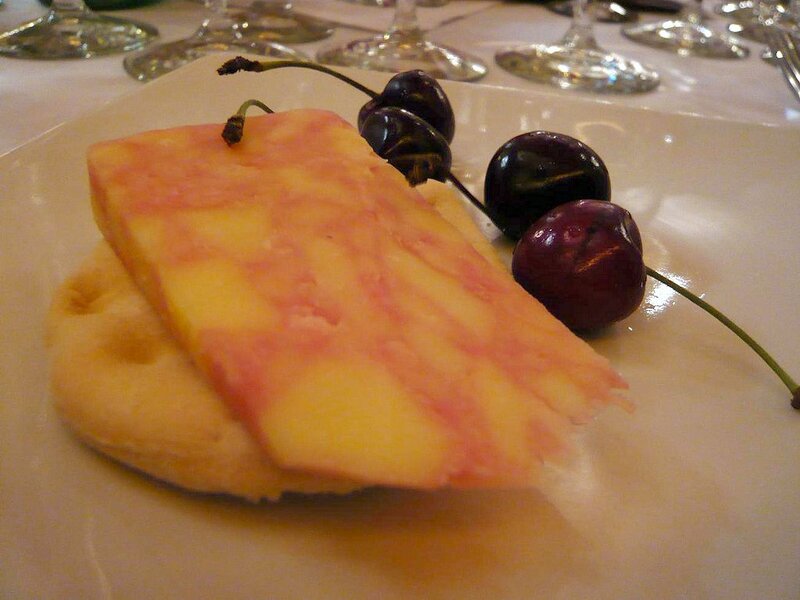 The pink marbling on the cheese is the result of cranberries. Smooth and mildly sharp, this was one delicious cheese. 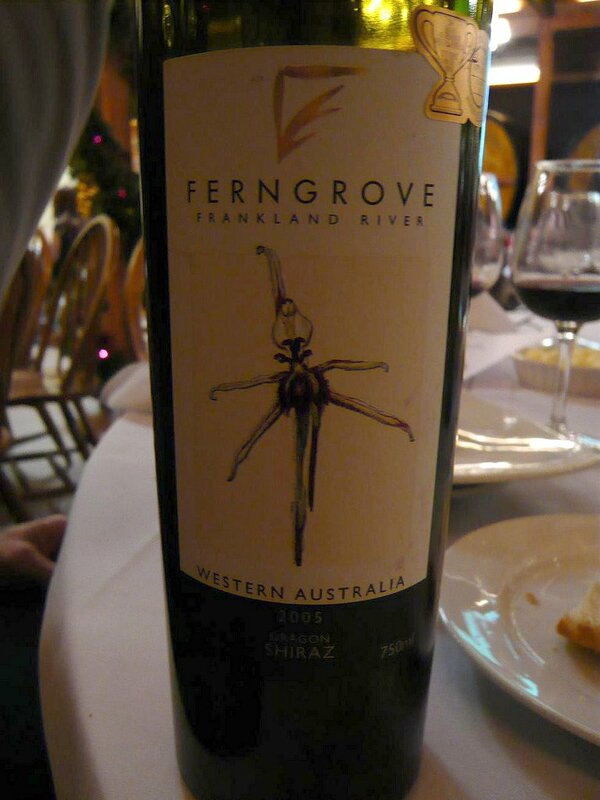 The pairing was my favorite wine of the day, the Ferngrove "Dragon" Shiraz. Fruity and smooth, this was an easily drinkable wine with plenty of flavor. A pound-cake like cake with coconut, dipped in chocolate, and then further dressed in more chocolate sauce. Rich and heavy, but satisfying. This is the second sparkling syrah I've ever had (the first was the Black Chook sparkling syrah) and they are becoming one of my drinks of choice since it is refreshing like champagne or prosecco yet has deeper flavors. It's a nice way to either kick off or end an occasion. 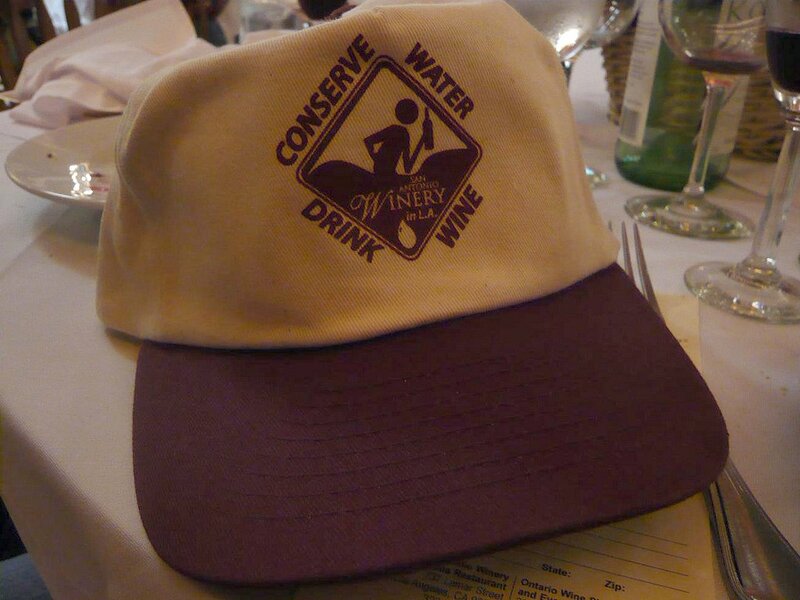 A parting gift from San Antonio Winery - a cap with a clever message. 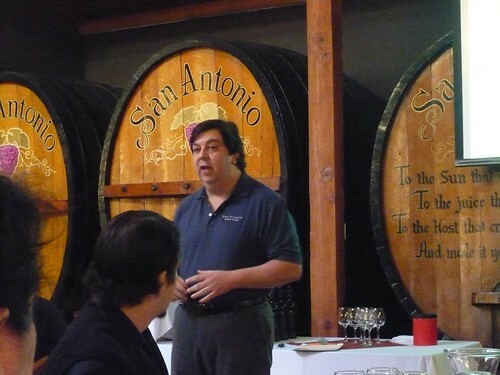 Next up at San Antonio Winery: "Boutique Beer Tasting and Food Pairing" Aug. 9, "Taste of the Americas" September 20, and "Taste of Italy" October 25. $50 pp.